If you are calling from a non-cellular phone, your phone provider routs the call through various switches; these switches determine which call center to send you to. It may take up to seven seconds for this to happen. Do not hang up! The phone number you’re calling from. The name of the person who the phone is registered to. The address where the phone is located. What emergency providers cover your area. Any notes about the location we may have added, such as house description or known problems. At the same time, the address will be plotted on our GIS, or mapping, software; additionally, call information is sent to our Computer Aided Dispatch (CAD) system, which we use to enter calls, keep track of units, identify known hazards or prior responses to specific locations and keep record of individual contacts, among many other functions. When you dial “911” from a cell (wireless) phone, the closest cellular tower picks up the call and sends it to the 911 center that services the area the tower is located in. In most places, only your cell number is shown. St. Joseph County uses “Phase 2 Wireless”, which will plot your location on our mapping software to within 300 feet or less – we have recently had a test call that was within 10 feet of the cell phone. 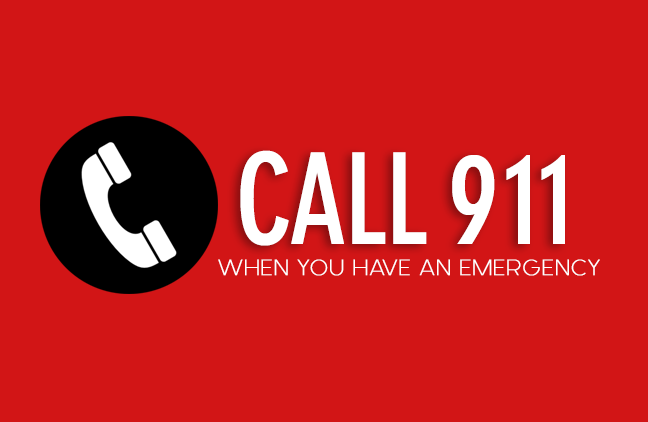 If you accidentally dial 911, do not hang up. After you press the last “1” the call will be sent to the call center. Should we be unable to make contact with you, a law enforcement officer will be sent to your location to make certain things are okay. This may keep someone else who legitimately needs help from getting it sooner. Be certain your address is correctly and prominently displayed in front of your residence! Reflective green and white address signs are available from many locations (call Central Dispatch for a list) and are an inexpensive and easy way to make your home easy to locate. Tell the telecommunicator if your home is not visible from the roadway or is down a lane. Not only does posting your address help emergency services find you, it’s also required by St. Joseph County ordinance. For further information on this ordinance, contact the Central Dispatch Director or the GIS Director in the county Land Resource department at (269) 467-5576.